For the last couple of months, the Mollywood industry had been trying to figure out who will don the role of the son of Alexander in the new movie, a sequel to Mammootty's hit movie 'Samrajyam'' on the pipeline. Dulqar Salman was a natural choice, but names like Prithviaj, Tamil actors like Vikram, Vijray were all discussed by the fans of the original in various forums. 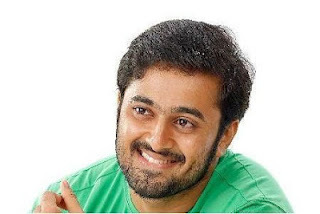 But now in a very fine launch function of the movie at Dubai, the crew has announced that it will be the young star Unni Mukundan, doing the special character. This new sequel , a big budget affair will be directed by Tamil actor Perarasu and will offer Unni another chance to establish himself as a solid star with a proper commercial backing. Unni had a fine relaunch earlier this year with his Mallusingh' with director Vysakh emerging a big hit. The shoot for this movie titled as 'Samrajyam II-Son of Alexander will start in a couple of weeks. IIayraja is the musician while a plenty of popular faces, Trisha and Vijayaragahavan will come up in other important roles.